There is a good chance your next private flight will be on a turboprop. According to ARGUS TRAQpak report, during 2017 turboprops registered an 8.0% increase in activity compared to a 4.9% rise in small cabin jets. Why is this noteworthy? Both types of aircraft have similar features in short-haul flights and considering 80% of private flights in the U.S. are under two hours, the increase registered by turboprops can’t go unnoticed. Especially when there is a handful of features supporting their use compared to other types of aircraft. Flexibility for starters. Turboprops can access more airports thanks to their capacity to land and takeoff at dirt and grass airstrips and shorter runways, an attribute that in an emergency might make a difference. Furthermore, this flexibility leaves you closer to your destination thus shortening the overall time needed for where you want to go. According to ARGUS TRAQpak, turboprops flew more than 1.17 million hours in 2017, just second to mid-size cabin jets with 1.32 million hours. Nevertheless, the top two aircraft in terms of flights in the country are turboprops, with the single-engine Pilatus PC-12 leading the way with more than 226.000 and followed by the King Air 200 and all its variants with almost 176.000. The Cessna Citation (Excel/XLS/XLS+) comes third as the first jet in the list with 171.000. 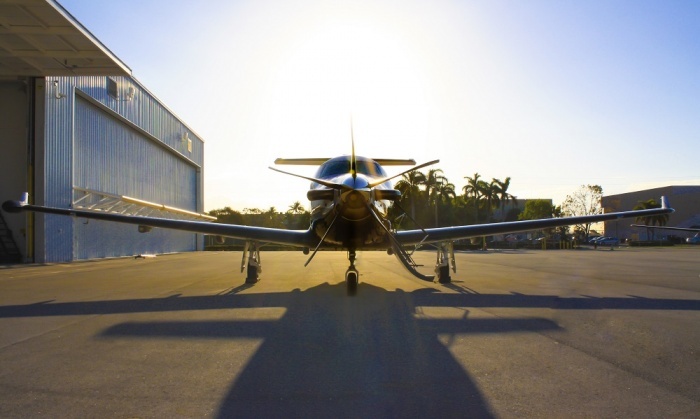 “The business aviation market calls more than ever for segmentation. Some like to classify the entire segment as private jets, although there are vast differences specifically between turboprops and jets. The short haul segment, where small and mid-size cabin jets ruled in the past is now common ground for turboprop bookings. Passengers have experienced that the cabin is as comfortable as a jet, the flight times aren’t so different to destinations within 500 and 1,200 miles, costs are lower, and safety standards are the same or even higher than in jets,” concludes David Gitman. In essence, there is a perfect aircraft for every range and flight; turboprops are the wise option for small airstrips, rugged runway conditions, short flights and when cost-efficiency is key. The previous are the main reasons why turboprop flight hours increased by 9.0% during 2017 compared to 2016 in the Part 135 industry.